I'm telling you, this has been such a crazy week! Believe it or not, our kitchen is STILL not finished!! We have appliances being delivered on Sunday and at that point, we will take a temporary break from renovations and come back to countertops and backsplash this summer. I can't take another moment without full use of my kitchen. And frankly, my dining room is sick of acting as a storage unit. In the midst of all of that, I decided to buy and refinish a dining room table. I mean, why not? 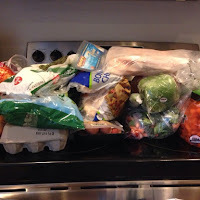 And get 250+ items ready for our local JBF sale in 2 weeks. Yes, I'm certifiably crazy! But, never to crazy to share my favorites from the week. So with that, a quick FIVE favorites! We love our local YMCA! We are there at least a couple times a week for swim lessons, toddler gym and twice a week, we do a family fitness class. Staying healthy and fit is super important to us, and I love that the Y is a place where we can all be together doing just that. 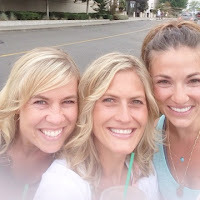 Healthy living is so important to us, that I have a blog post (almost ready) to share with you about how we make that a priority in our family. Check back soon! Okay, friends. If you have a Costco nearby, you've got to grab these jeans!!! They are DKNY in a dark wash and I'm in love! What I love the most is the price tag of just $19.99. Yes, you read that right. I couldn't believe the fit. It's hard for me to find a pair of jeans than I love, but these are pretty stinkin great. Trust me! 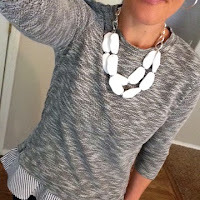 And this necklace was one of the items I decided to keep, from my last Stitch Fix box. Totally happy about it! 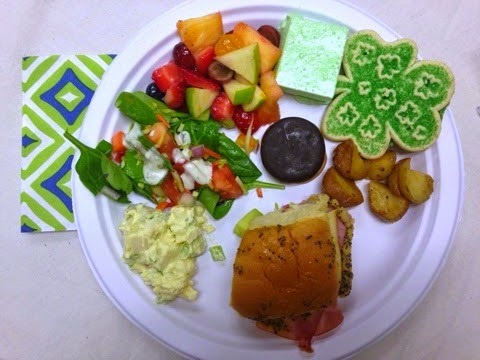 This St Patrick's Day themed dinner from MOPS this week was my favorite!!! 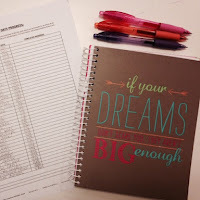 I love doing fun things with my kids to celebrate each holiday and this gave me some fun ideas! I plan on making these sliders, so check back soon for a recipe that you can use. They were absolutely amazing! My final favorite is when I get a few moments to myself. Even if it means that I'm in the car! 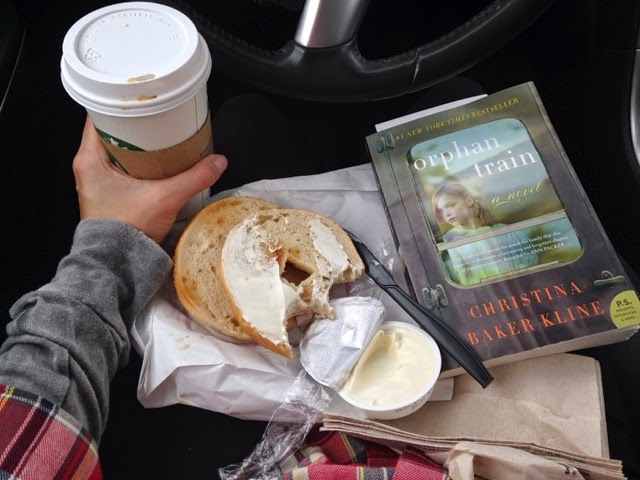 A quick stop at Starbucks and some quiet reading time. 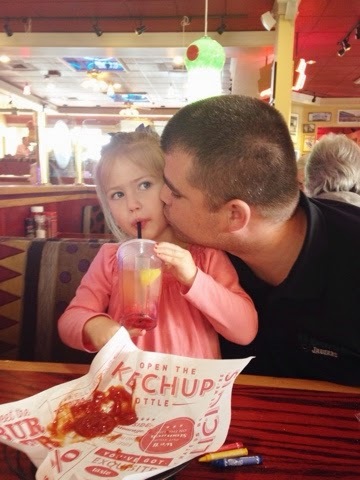 When you are a mom to many young children, those moments are rare and I totally and completely cherish them!! I'm getting ready to do a review of this book sometime in the next week. Excited to share my thoughts with you! I hope you have a fantastic Friday! We are having temps in the low 70's up here in Washington and are soaking it all up. How can this be real?!?!?! I can't wait to see what you thought of that book. I'm always looking for a good book to read. 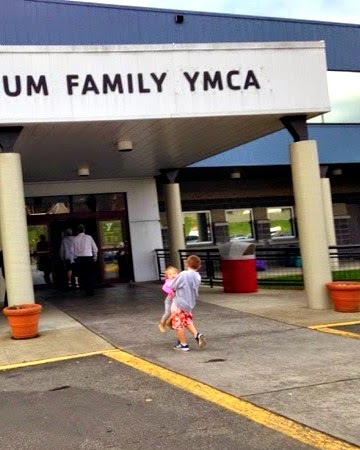 I love all the things our local YMCA has to offer! Now that Xavier is old enough to take classes, I am excited for us to go more often :) We are moving to a house with a pool this summer so I am sure we will be getting lots of family exercise in that way too! Alone in the car is all I get too! :) Enjoy it! So jealous of your 70* weather! We are in the 40-50's, but I will take it! Happy weekend! 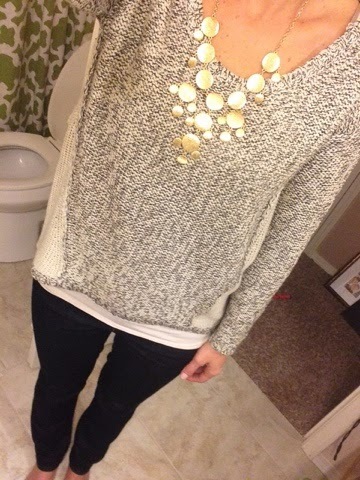 That Stitch Fix necklace is everything. What a great piece! Also, isn't it crazy how previously insignificant time in the car becomes your new "me time" after kids? I had a long drive last night sans-daughter, and I simply enjoyed blaring the radio. Oh, the little things. ;) Happy weekend! Love some good me time! And I was just looking into our local YMCA for fitness classes. I need to get over there to check it out! Hope you had a great weekend. Thanks for linking up at H54F! !